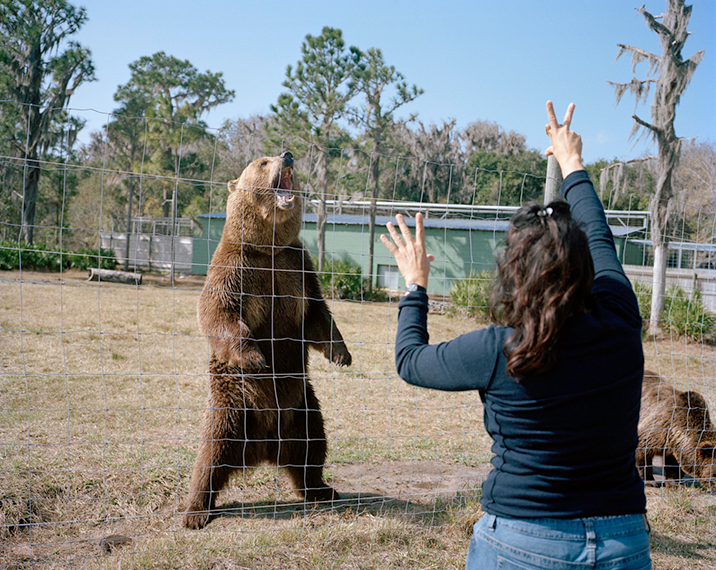 These are photographs of real people and the animals, objects, and places that belong to them. I am fascinated by the similarities between life forms and how alike our basic drives and behaviors are. To me, the indefinable difference between humans and animals is the mystery of animal perception that humans are only able to access through imagination and theory. When we see another living creature, we can never truly know how they perceive us or their environment. Evolution has formed an infinite variety of species all ranging in different types of intelligences, instincts, physical capabilities, and defense mechanisms. Humans continually use these differences in ability to their own devices through domestication or a process of taming. 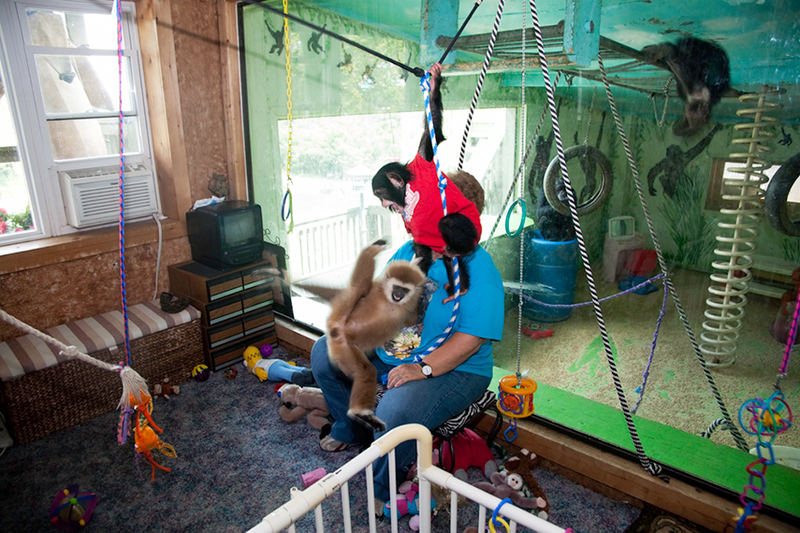 In this project, I continually wondered how adaptable the human home is for other species, whether that species lives in its own bedroom or in a cage in the backyard. 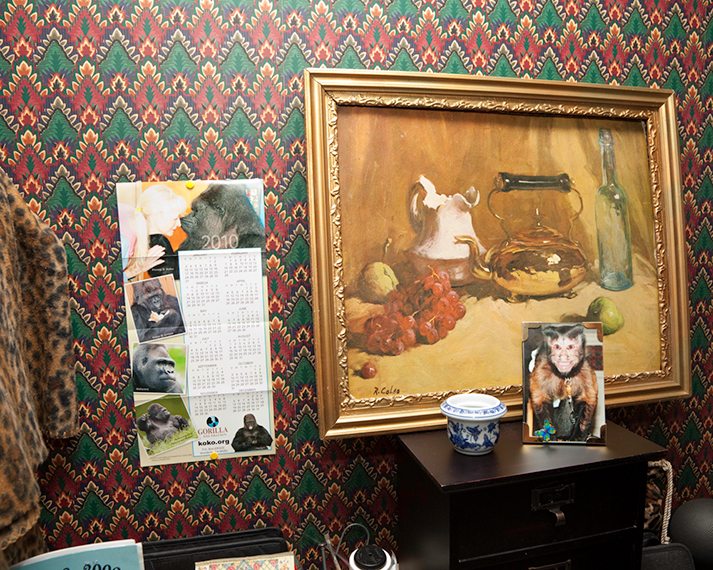 The animals in these pictures often occupy the home space as fixtures much like the trinkets and framed pictures that display the animal lover’s identity. Various objects, including empty grocery store food packets, tchotchkes, stuffed animals, animal clothes, car decals, drawings, memorialized gravesites, and photographs identify the human owners as animal-lovers, even when the object of their affection is not captured in the frame. As many of my photographs make clear, some human identities are carved through the creation of a familiar human-pet dynamic involving both affection and dominance, captivity and care. 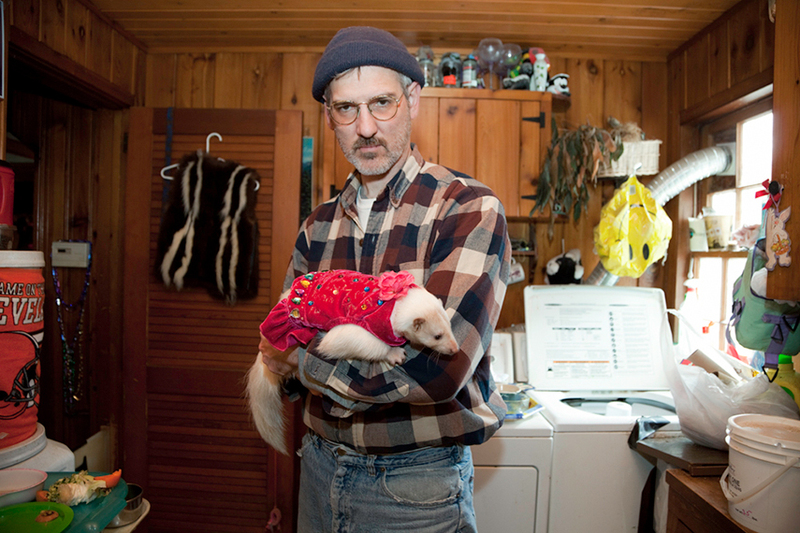 My photographs record this man-made symbiosis as it occurs in and around the American home.